United States Postal Service is a popular organization where thousands of workers deliver millions of letters and mail items to the customers. Not only the services of USPS are efficient but are affordable too. To know the various details related to USPS, it has facilitated its customers with the USPS Mobile App. This post office app enables the customers to know the exact status of their shipment. Not only the USPS Mobile App helps USPS customers to find the latest update of their mail item, but it also helps the customer to do several other things which we will discuss below. Here we will discuss USPS App using which you can enjoy many facilities. This app works for both Android users and iOS users. 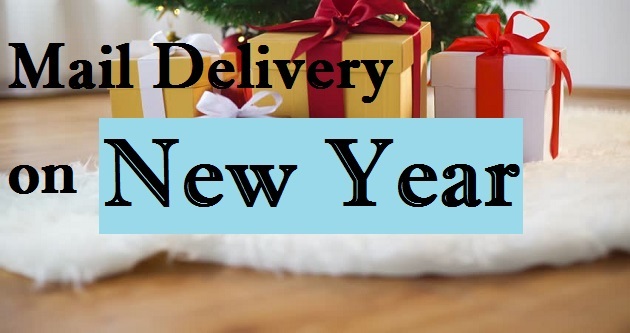 As we said above, with the help of this Mobile App you can do a variety of things like tracking your package, holding your mails in case you go out of town, changing your address, and many more such functions. To start working on this fabulous Mobile App, download it from the app store or the play store according to your operating system. 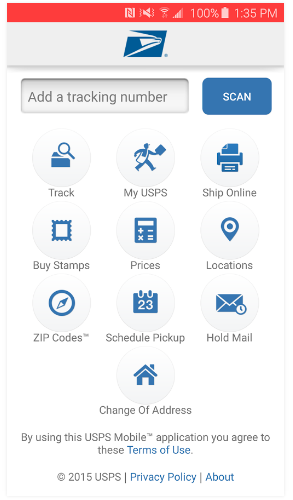 USPS tracking mobile app spares you from going to the post office physically because you can now do a variety of things related to USPS sitting at the convenience of your home using this app. Otherwise, in the previous scenario when we did not have this app, the customers used to go to the post office no matter what to get aware of the status of your mail. But now, thankfully we have an app which allows us to track the status of our mail items and packages. Let us talk about how does this app help and how to download it on iOS first. The best use of my USPS app is to track the USPS packages and hence it is also called as the USPS tracking app though you can do much more than just tracking your shipment. 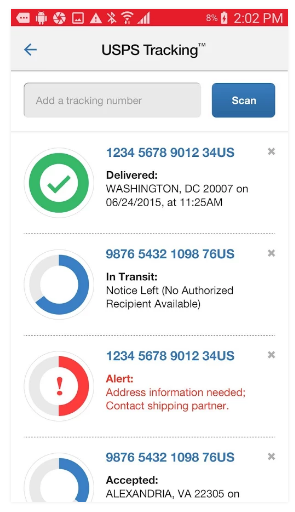 Both the iOS user and an Android user can carry out the same functions of the USPS Mobile app. An Android user can do all the things which an iOS user can do with this app. Hence, we can say that the OS of the smartphone does not matter. The only difference can be in the manner of downloading the app. Both iOS and Android users can track their mail items, buy the stamps through the app, ship through online way, get to know the ZIP codes, plan a pickup, can hold their mail if they are not available at home, find any location, and many more. The iOS users must download this tracking app from the App Store by clicking the link mentioned below. Coming to the Android users, an Android user can download this USPS application from the Google Play Store. USPS App is one of the fabulous services of the United States Postal Services. The process of downloading this application is very simple too. All you have to do is to click on the app store or play store link. USPS has always been bringing a smile to the face of its customers. Making this app available to its people has made them comfortable. 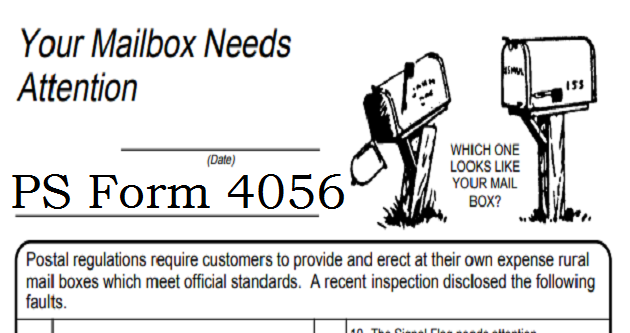 They can use this app on their laptop or smartphone anytime and get to know important USPS details about their package. 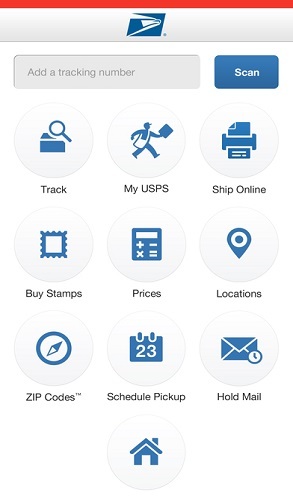 Just open the USPS mobile app on your smartphone anytime or from anywhere and begin searching what you want to know. 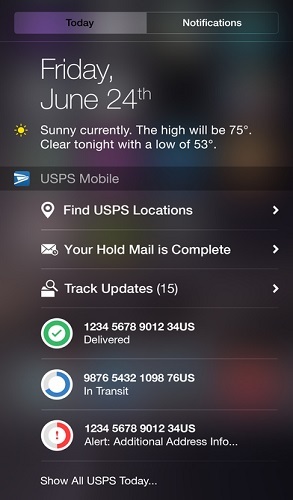 USPS has made its customer’s lives easy with this post tracking app. So, no need to wait, download the app and enjoy the benefits. Previous Article What does IN-TRANSIT Mean in USPS Tracking? 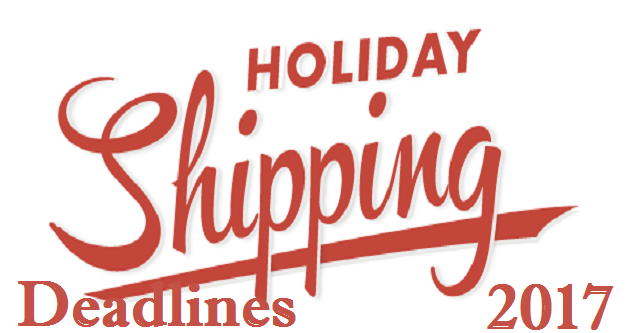 Next Article Do USPS, UPS, and FedEx Deliver on New Year’s Eve & Day?